All our treats make great gifts! From cake pops to cookies to chocolatiering. to make a from the heart yummy treat present! We think the best treats come from the kitchen! Looking for that something special? unique? Then talk to us and we will work with you through all of your ideas and try and make them become reality, and make your occasion become memorable. 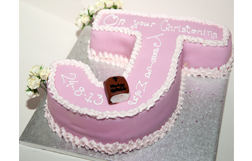 Wedding, Birthday, Graduation, Leaving, Divorce, Corporate or just because cakes I can cover all of your occasion needs. Looking for savory treats to add to your party? 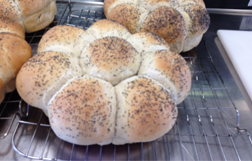 Homemade breads and pies, pastry treats, or nibbles. I trained at Thanet College, at the time one of the country's leading culinary colleges. I left there with my level 2 in Hospitality Management and Level 3 in Pastry. My baking is not only my vocation but my passion. We cannot thank you enough for our amazing wedding cake!! People are still talking about how wonderful it was!! 'the cakes Heather made for us were perfect, the shock of seeing something I had been planning in my mind for 2 years brought me to tears (in a good way) and the cake for Jessicas christening was so beautiful, it seemed a shame to have to cut them but i'm glad we did as they tasted just as wonderful as they looked, thank you again heather!'" I will personally deliver all wedding cakes and set them up for you unless otherwise specified within the South East and M25 corridor. 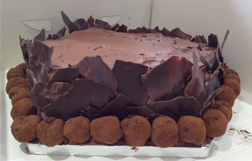 Chocolate work, birthday cakes & sweet or savoury treats will be personally delivered within a 15 mile radius of RH6. Outside of this distance I use specialist couriers who guarantee that your goods will arrive on time and intact. Are you giving our treats as a gift? We can wrap or ribbon them for you in your selected colours. Ask us for more details.